Suhrs Højskole is the food folk high school in the heart of Copenhagen. We care about food, culture, gastronomy and the good life and we focus on a wide range of topics regarding food, sustainability and movement. Suhrs Højskole equals great ambitions, creativity and friendship – we hope you will join us! Suhrs Højskole is a folk high school in the middle of Copenhagen. We care about food, culture, gastronomy, health and the good life. If you attend a course at Suhrs Højskole you will gain fundamental knowledge regarding food, raw ingredients and consumption and gain the necessary timing of food preparation and grip of the kitchen. Furthermore you will gain insight into various fields such as health and sustainability in order to create a sound framework for your life. 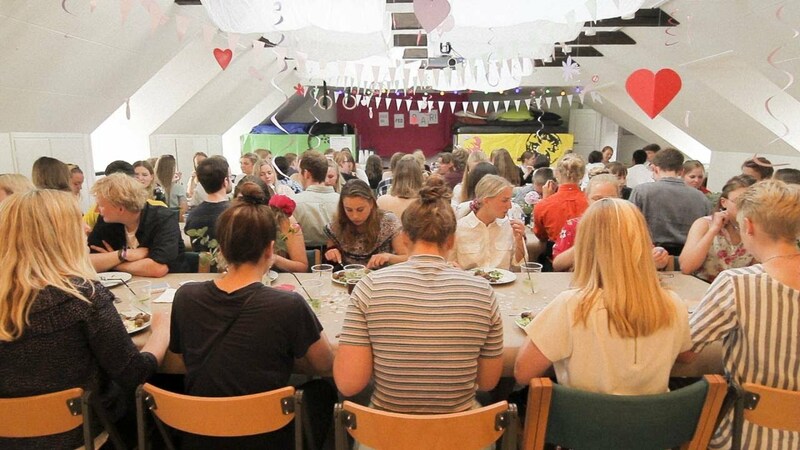 Surhs Højskole is also an opportunity to live in the middle of central Copenhagen and learn about Danish culture and interact with young Danes. We believe that good food, taste and sustainability is important parts in creating a good life. Therefore we care about common meals and discussing the future of food. We hope that you wish to be a part of Suhrs. All students choose two of the above fields. In addition we offer a vast array of other subjects as well as lectures, joint classes, outings, cultural events, parties etc. As a foreign student at Suhrs Højskole you must be prepared for the fact that all teaching takes place in Danish. Therefore you must be able to speak and understand Danish to a certain degree. You can choose either to be a day student or a boarding school student. There are cozy rooms available for students to live in at the school. If you choose not to live at the school, you’ll have to find accommodation on your own. The basic cost is 1.700 DKK per week as a boarding student and 1.050 DKK per week as a day student. We can in special cases provide financial support. Please contact us for further information. We have room for 31 boarding school students at Suhrs. Our day students live elsewhere in Copenhagen. We travel 10 days to Italy. In spring we visit the region of Emilia Romagna and in the fall we travel to the region of Liguria.